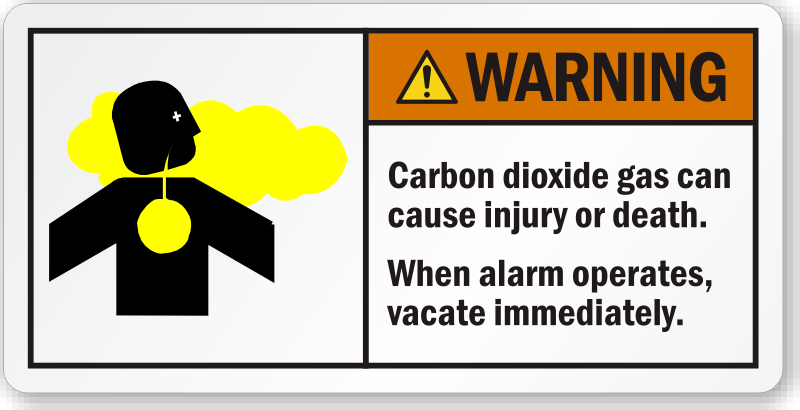 Carbon Dioxide Labels come in a variety of formats – NFPA, ANSI, GHS. 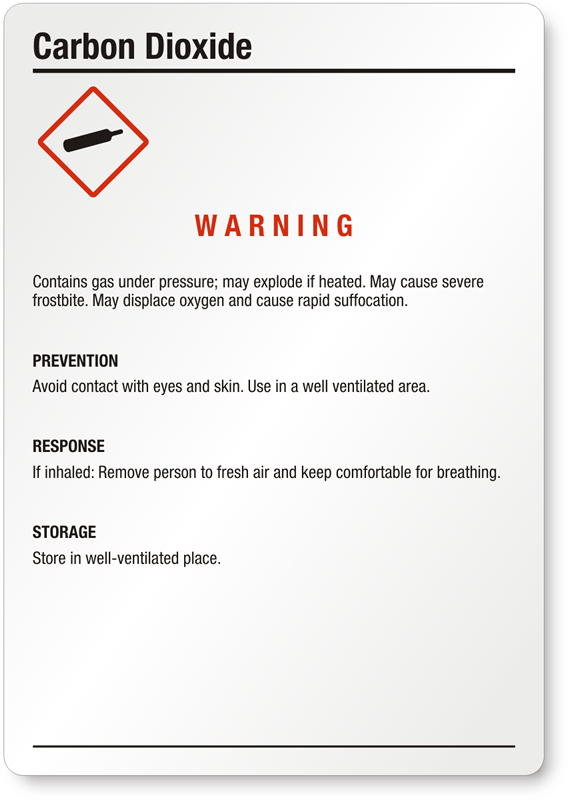 Take your pick to comply with safety protocols specific to your facility. 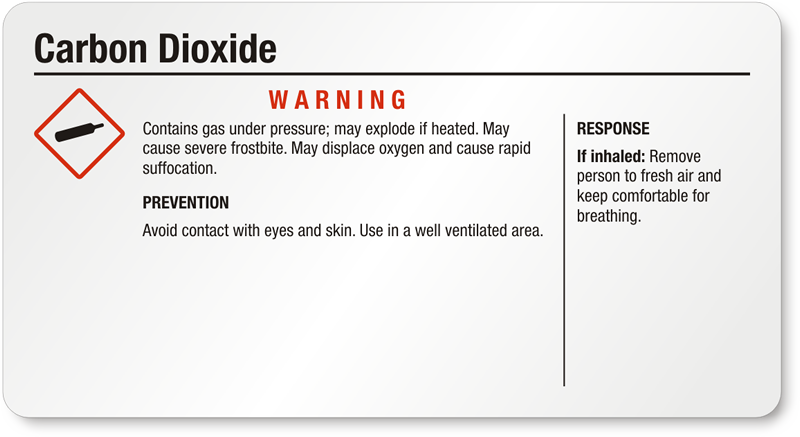 • These Carbon Dioxide Right-to-Know Labels carry all the information required by workers handling or exposed to the chemical. 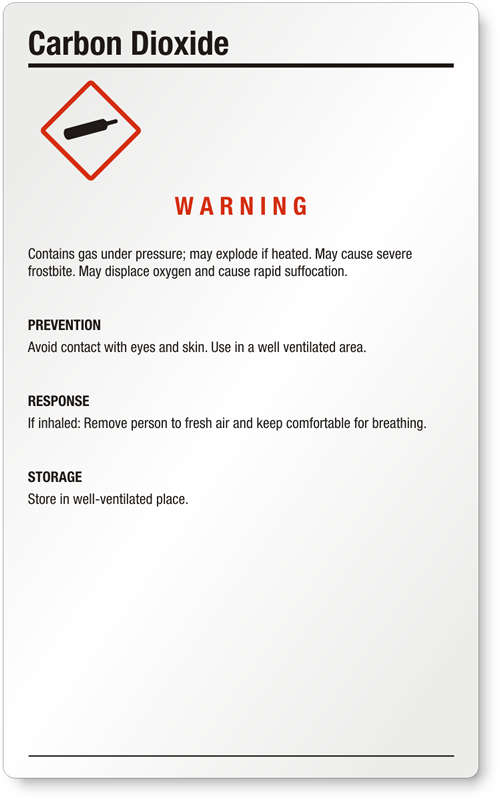 • Most labels can be downloaded for FREE. After you download a PDF, print it using a personal printer for immediate use. 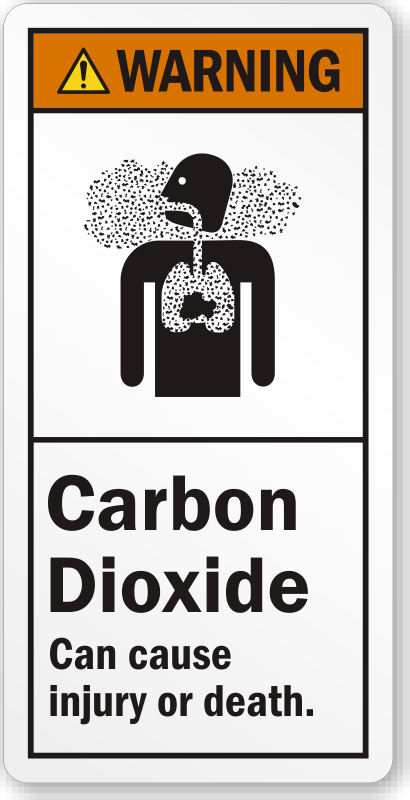 Carbon Dioxide: Contains gas under pressure; may explode if heated. May cause severe frostbite. 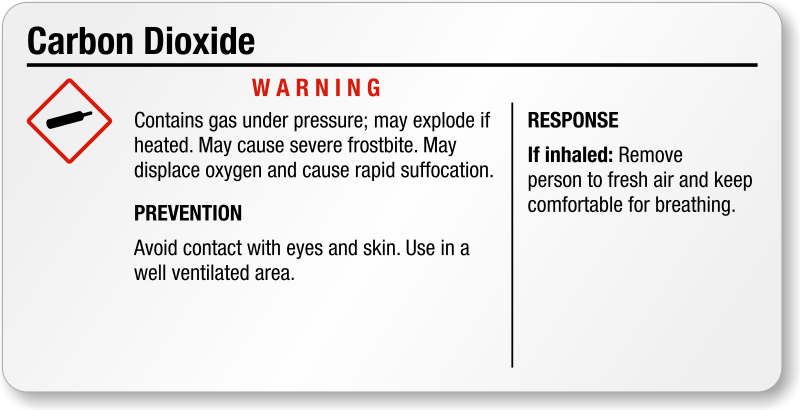 May displace oxygen and cause rapid suffocation.